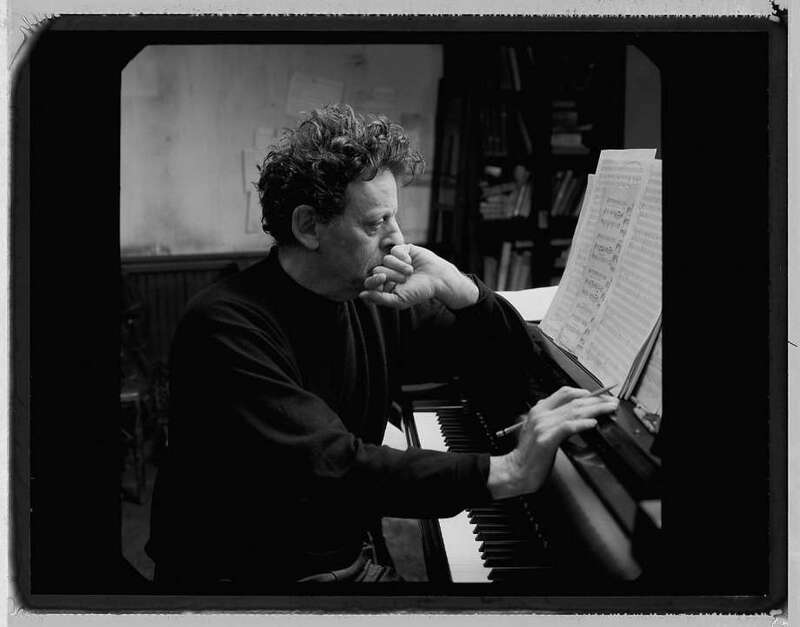 Philip Glass was born in Baltimore, Maryland on January 31, 1937. His father, Benjamin Charles Glass, owned a record store and his mother, Ida, was a librarian. His family were Jewish immigrants from Lithuania. In his memoirs, Glass recalls that at the end of World War II his mother aided Jewish Holocaust survivors, inviting recent arrivals to America to stay at their home until they could find a job and a place to live. She developed a plan to help them learn English and develop skills so they could find work. Glass developed his appreciation of music from his father, discovering later his father's side of the family had many musicians. His cousin Cevia was a classical pianist, while others had been in vaudeville. He learned his family was also related to Al Jolson. Glass's father often received promotional copies of new recordings at his music store. He spent many hours listening to them, developing his knowledge and taste in music. This openness to modern sounds affected Glass at an early age. Glass said, “My father was self-taught, but he ended up having a very refined and rich knowledge of classical, chamber, and contemporary music. Typically he would come home and have dinner, and then sit in his armchair and listen to music until almost midnight. I caught on to this very early, and I would go and listen with him.” Philip’s father promoted both new recordings and a wide selection of composers to his customers, sometimes convincing them to try something new by allowing them to return records they didn't like. His store soon developed a reputation as Baltimore's leading source of modern music. 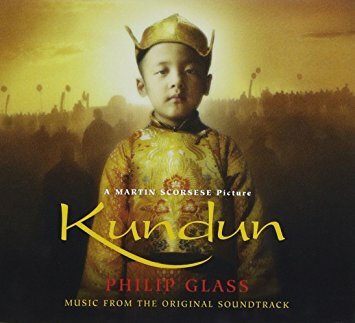 Today’s Listening Example is “Glassworks”. Listen for steady, repeating rhythm patterns and polyrhythms, (which are different patterns layered on top of each other.) The music contains short melodic units instead of a real melody. You may hear a single tone being focused on throughout the music. The harmony in the chords changes slowly and subtly. The overall effect of the music can be either hypnotic, trance-like and soothing, or it can be boring/monotonous, because of its repetitive nature. 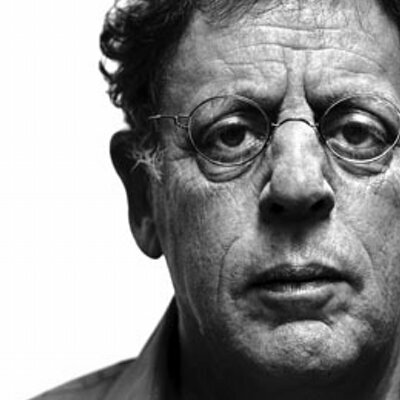 Philip Glass is an American classical composer of a style of music known as minimalism. His works include a collection called Metamorphosis, the opera Einstein on the Beach, and other compositions. Glass describes himself as ‘a composer of music with repetitive structures’. He is considered one of the most influential composers of late 20th-century music. Minimal music is a form of ‘art music’ that developed in the United States in the 1960’s as a type of experimental music. It uses simplicity of form, as can be compared to examples of minimal artwork. Minimalist music is, by definition, any music that works with limited or minimal materials: pieces that use only a few notes, pieces that use only a few words of text, or pieces written for very limited instruments, such as antique cymbals, bicycle wheels, or drinking glasses. It includes pieces that sustain one basic electronic rumble for a long time. It includes pieces made exclusively from recordings of rivers and streams. Minimalist music is very plain to some, and displeasing to the ears of others. A lot like Edgard Varese’s music. Minimalist music requires a new approach to the way one listens to music. The listener must focus on the internal process of the music, instead of melodic goals or the motion toward those goals. Our listening example is “Metamorphosis 2”. At the beginning of the music, the harmony, pulse and rhythmic foundation are presented. At about two and one-half minutes, the music enters the next phase of its development. There are two examples to choose from: one played on harp and the other played on piano. 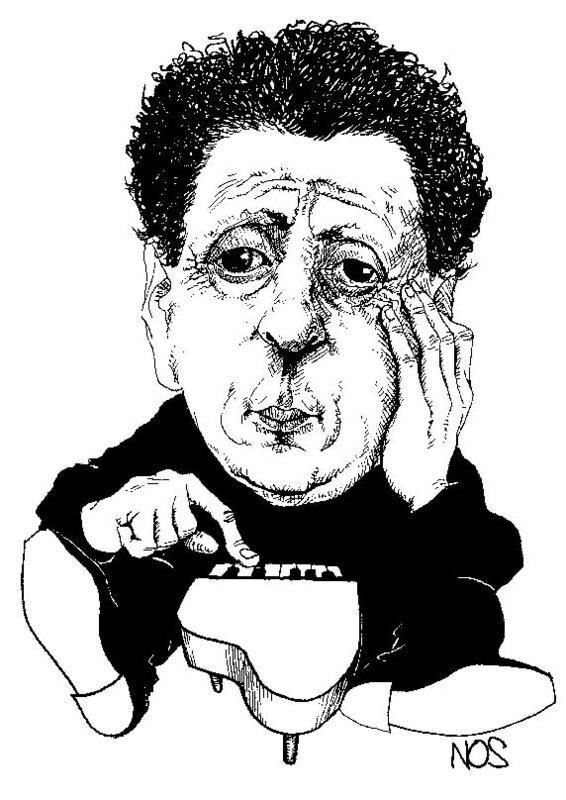 Philip Glass was one of several composers experimenting with new compositional techniques that came to be known as the New York Hypnotic School in the downtown New York scene of the 1960’s. They used limited or minimal musical materials to create the concept of a work in progress. 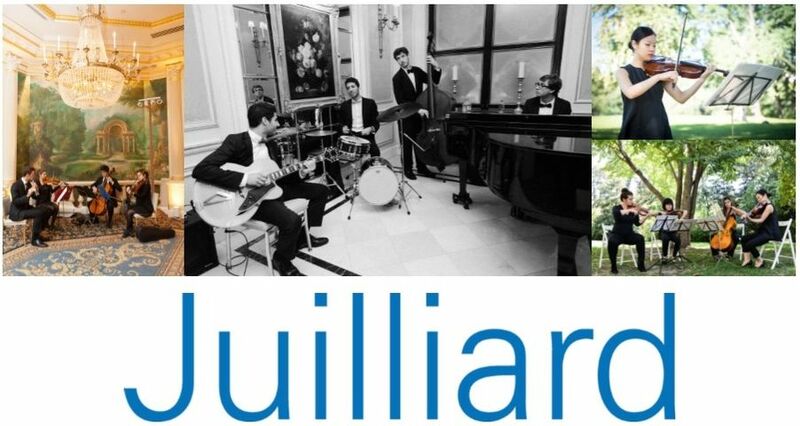 Ask any musician where to go for the best musical education in America, and they will tell you Juilliard in New York City. Not only has The Juilliard school taught such famous artists as our favorite composer, John Williams, and supreme violinist Yo-Yo Ma, but it is in the hub of the performing arts capital of the nation, New York City. 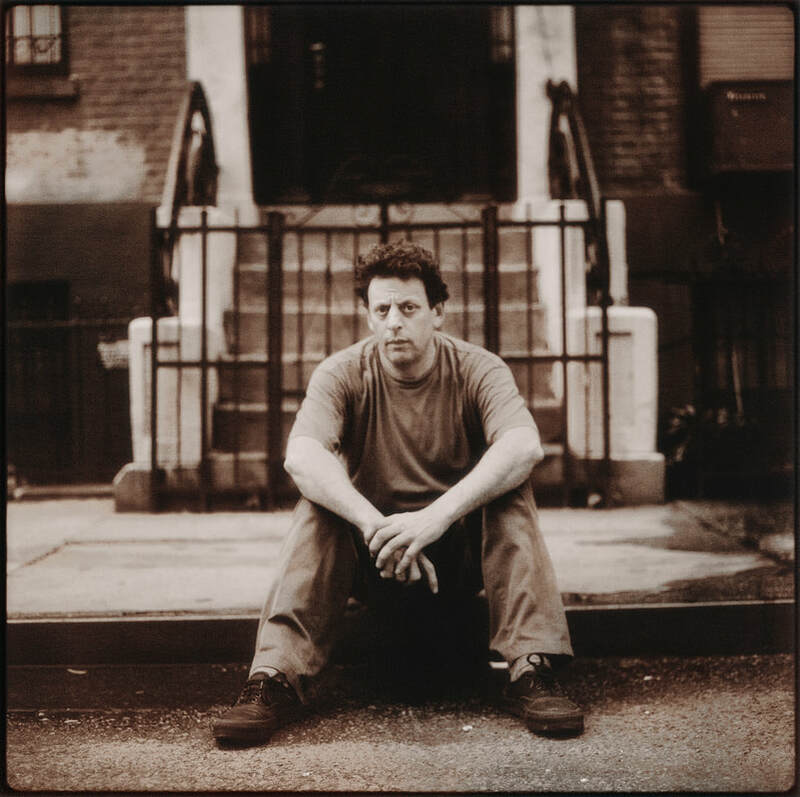 Philip Glass is among the most famous of The Juilliard School’s alumni. 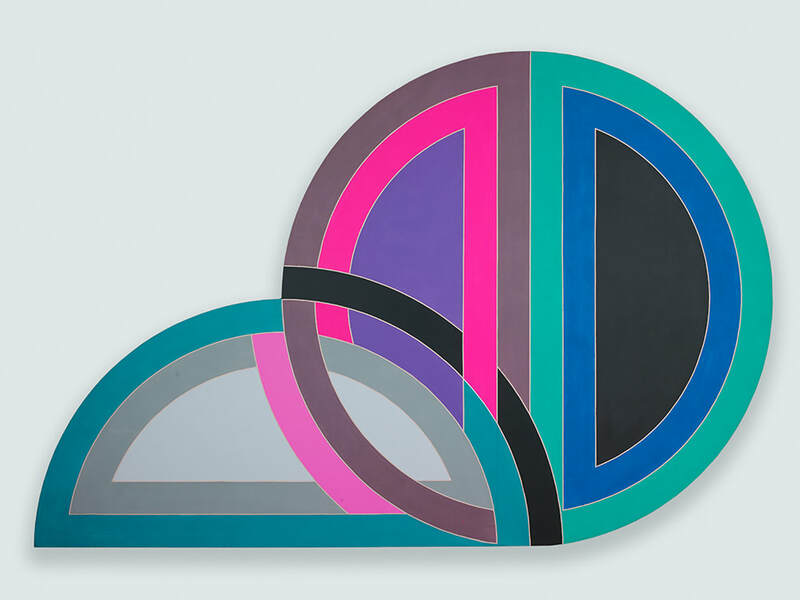 ​Not long after graduating from Juilliard, Glass went on to study composition in Paris. It was there that he started to form his own ideas of how music should be composed. 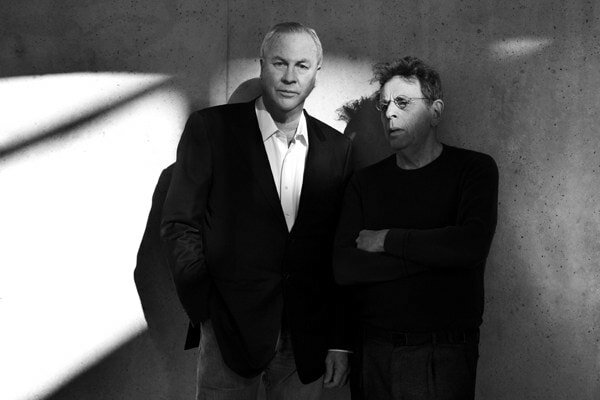 He soon met Robert Wilson and in the summer of 1975, the two began working on a 5 hour opera called “Einstein on the Beach.” Glass recounts the collaborative processof writing this opera: "I put [Wilson’s notebook of sketches] on the piano and composed each section like a portrait of the drawing before me. The score was begun in the spring of 1975 and completed by the following November, and those drawings were before me all the time." 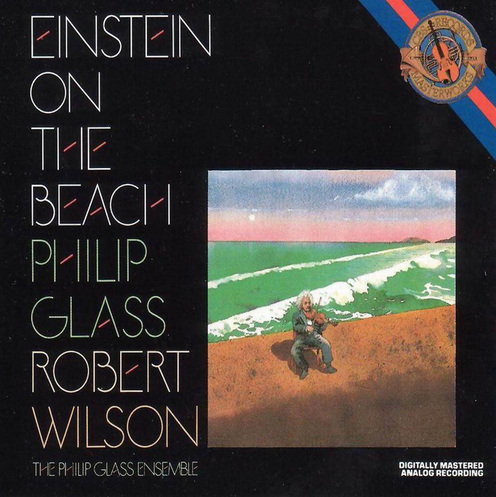 Today’s Listening Example is from Act 4, Scene 3 of “Einstein on the Beach”. This song is titled, “Spaceship”. 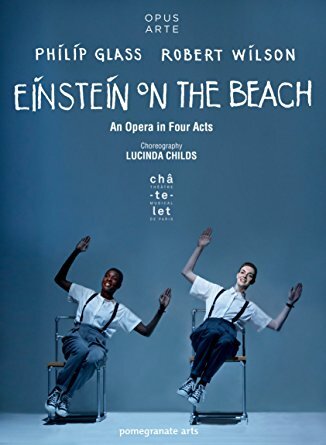 The whole opera is about Einstein, but it has no plot. No problem that the characters have to solve or overcome. No real hero, other than Einstein. 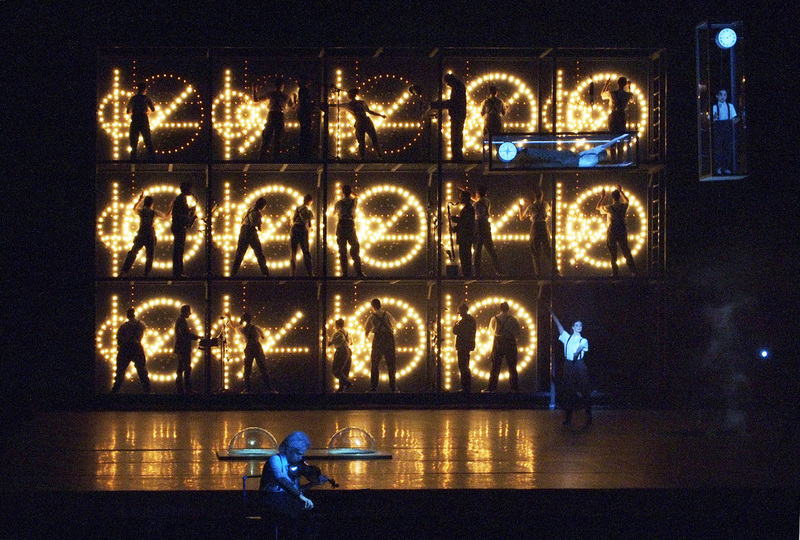 It just has symbols of his life and work woven throughout the entire 5 hour opera (with no intermission!) 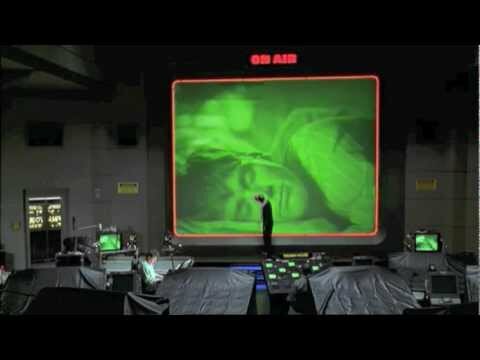 The “Spaceship” scene represents Einstein’s theory of relativity, that Glass related to nuclear bombs and AM Radio. You’ll notice a repeating rhythm in the background as the choir sings and people are slowly transported in glass elevators across the stage. 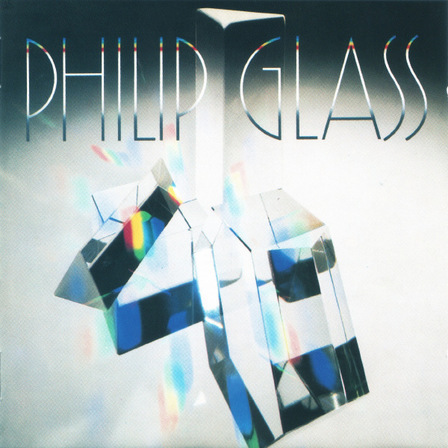 Listening Example: "Another Look at Harmony-2"
The early compositions of Glass are somewhat simple, with little embellishment on the principal theme. These works are for small instrumental ensembles, and Glass often performed in these groups. They contain organs, woodwinds—particularly saxophones—and vocalists. His current works are more sophisticated. 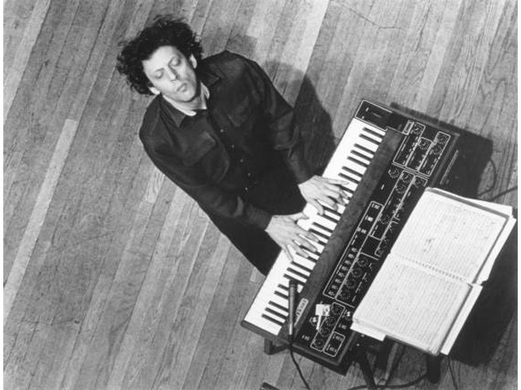 He often performs with his own group, the Philip Glass Ensemble. Glass always has music running through his brain. He treats it like a science experiment. In science, you try out new things and discover how they work together. That is what Glass does with musical notes and sounds. When he writes a new piece of music, he rearranges notes to hear how they will sound together. As he plays with the way notes are arranged, he creates new pieces of music. Philip would often take this music and put it together to create an anthology. He did this with opera’s he wrote, symphonies and many other pieces. He would often write his music to be played for his own ensemble, or band, that he put together. Today’s Listening Example is one such anthology. 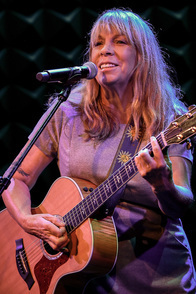 Glass wrote “Another Look at Harmony” as a way of playing with notes and adding voices. He wanted to hear how certain notes worked together, and how they worked against each other. As will all minimalist music, you will notice a repeating pattern of rhythms and notes. But, as Glass felt he made many of the rules for the minimalist genre, he also felt he needed to break those rules. That is why there are more than 5 different songs in this anthology. Today we will hear the second piece in Glass’ anthology of “Another Look at Harmony” This particular video was filmed in 1975. You’ll see Glass performing with his ensemble. 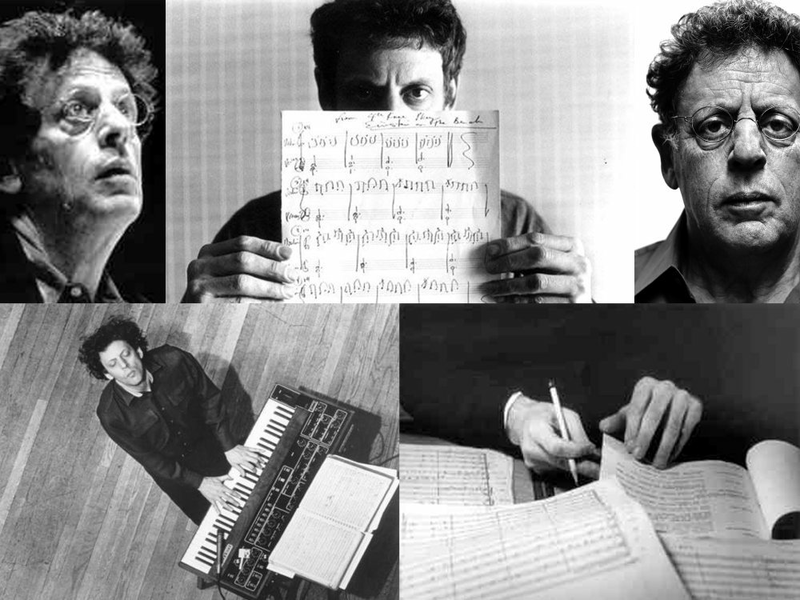 Philip Glass was a very creative person. He wasn’t afraid to take risks and look outside the rules of what had been done before in order to create something new. He was brave, and bold, and he wasn’t afraid to be who he really was. That’s a very important trait for a highly creative person to have. In the early 80’s, Glass began writing music for movies. In 1997, he received an Academy Award for his music for the movie Kundun about the Dalai Lama. 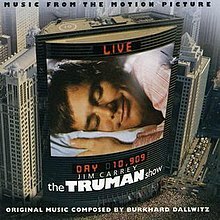 In 1998, Glass wrote a song entitled “Truman Sleeps” for the movie “The Truman Show”. He also made a cameo appearance in that movie playing that song. 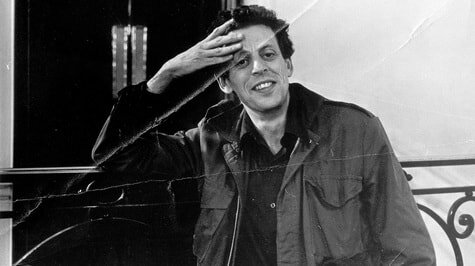 In 2003, Philip Glass wrote the music for a film titled “The Hours.” The film was nominated for 123 Academy Awards, and actually won 42 of those nominations. Philip Glass won not only the Academy Award, but also a Golden Globe award for “Best Music, Original Score.” Today’s Listening Example is the theme song from the movie “The Hours”. It is a very soothing song, with Glass’ characteristic, repeated rhythms and notes that make his music so easily identified. You will hear repeated patterns in the guitars. 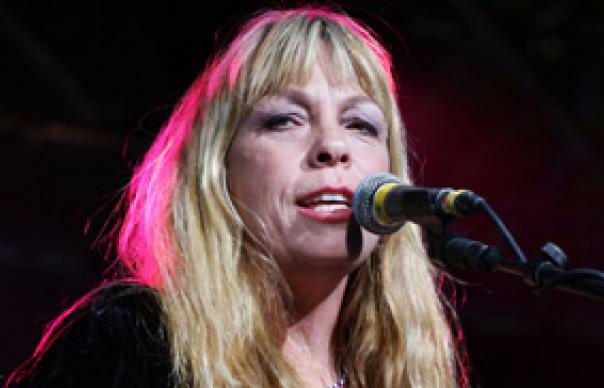 But the signature of the piece centers around the repeated phrases sampled from the voice of singer/songwriter Rickie Lee Jones as she tells about the picturesque images of clouds from her Arizona childhood. 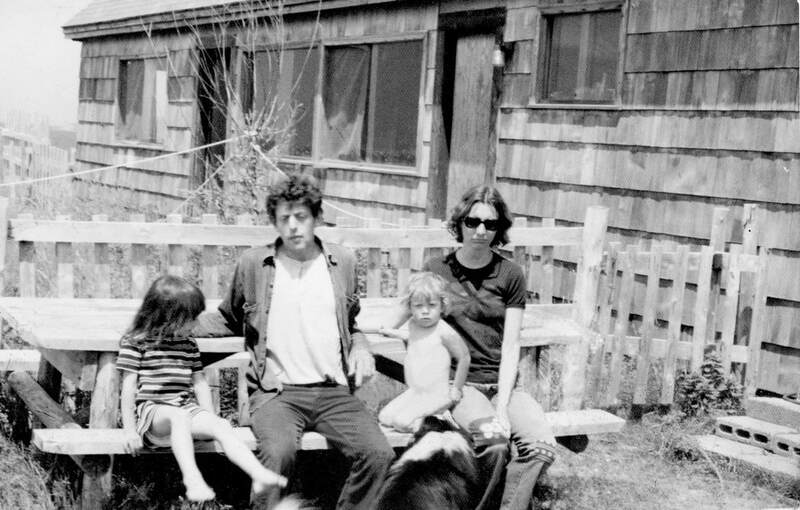 Listen to "Clapping Music for 5 Performers" by Reich.